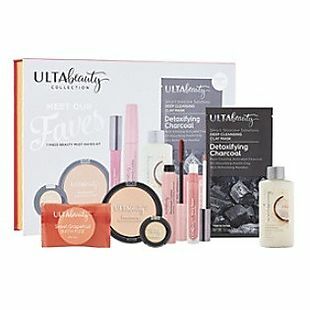 This Ulta Be Beautiful Color Essentials 40pc Collection Kit drops from $29.99 to 19.99 to $16.49 when you add code 756875 during checkout at Ulta.com. Shipping adds $5.95 or is free when you spend $50. This is the lowest price we found for a set like this. Ulta eye shadow palettes are regularly priced at $20 with 12 shades, and this set includes 24 eye shadow shades. The set also includes a face palette with four shades, two matte liquid lipsticks, and more. This set is only available at Ulta. Sales tax is charged in most states. This Ulta Meet Our Faves Kit drops from $19.99 to $16.49 when you add code 756875 during checkout at Ulta. This code is good for $3.50 off your $15 purchase. Shipping adds $5.95 or is free with $50. 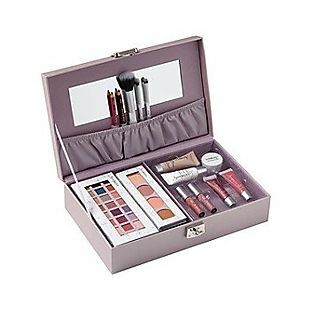 This kit can only be found at Ulta. It comes with sample sizes of bath fizz, mascara, lip gloss, illuminator, eye shadow, moisturizing body lotion, and a detoxifying charcoal clay mask. This Maximum Lashes Mascara is regularly $10.50 on its own, making this kit a great value! Please note that adding multiple kits or other items to your cart may increase this price, because the code is only valid for $3.50 off your $15 purchase. Sales tax is charged in most states. Ulta charges a flat rate of $5.95 for standard ground shipping, but if you purchase more than $50 worth of product your order will ship for free. Every Ulta order also comes with complimentary samples, so you can discover new favorites for no additional cost! If you're a frequent Ulta customer, you can save big when you join their ULTAmate REWARDS program. As a member, you'll earn one point for every dollar you spend, and these points can be redeemed on future Ulta purchases. You'll also get a special birthday gift, earn double points during the month of your birthday, and get access to exclusive, members-only sales and promotions. Save big this Black Friday by finding some of the best ULTA deals of the year in the ULTA Black Friday Ad.